“`Coming this Summer, you can sign up for the newest online cinematic-related course from Turner Classic Movies and Ball State. TCM Presents: MAD ABOUT MUSICALS! is a free online course dedicated to the history of the Hollywood Musical; a truly teachable moment! 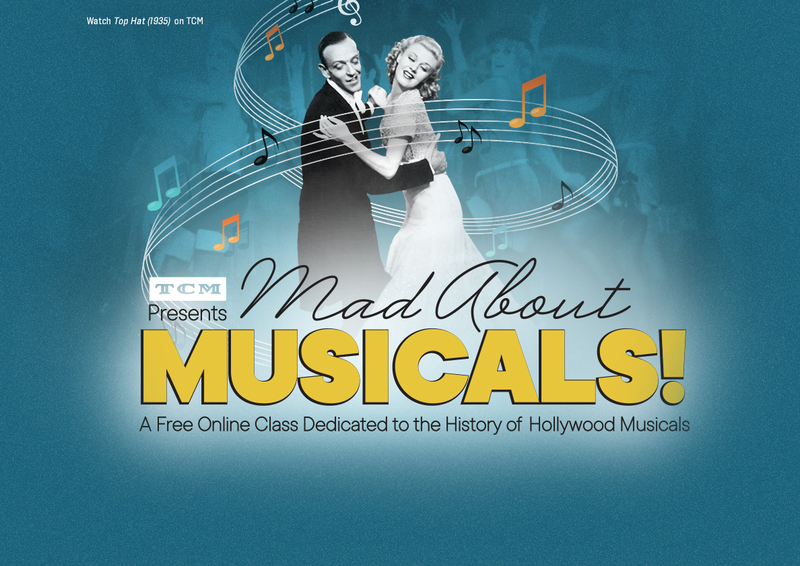 “`Running from June 3rd to June 30th, this FREE interactive experience offers an entertaining study into the movie musical, from the 1930s to the 1970s, with multimedia course materials, digital games and ongoing interactions. Join fellow film fans on the TCM message boards, and more. “`Movie afficianados and online learners from around the world are expected to learn about this dependable genre. TCM Presents: MAD ABOUT MUSICALS is the fourth FREE online course to be offered by TCM and Ball State, following Film Noir, Slapstick Comedy, and 50 Years of Hitchcock. Plus, TCM will screen ninety film musicals over the month of June. This entry was posted on Tuesday, May 29th, 2018 at 7:56 pm	and is filed under Blog by Manny Pacheco. You can follow any comments to this post through the RSS 2.0 feed. You can leave a response, or trackback from your own site.